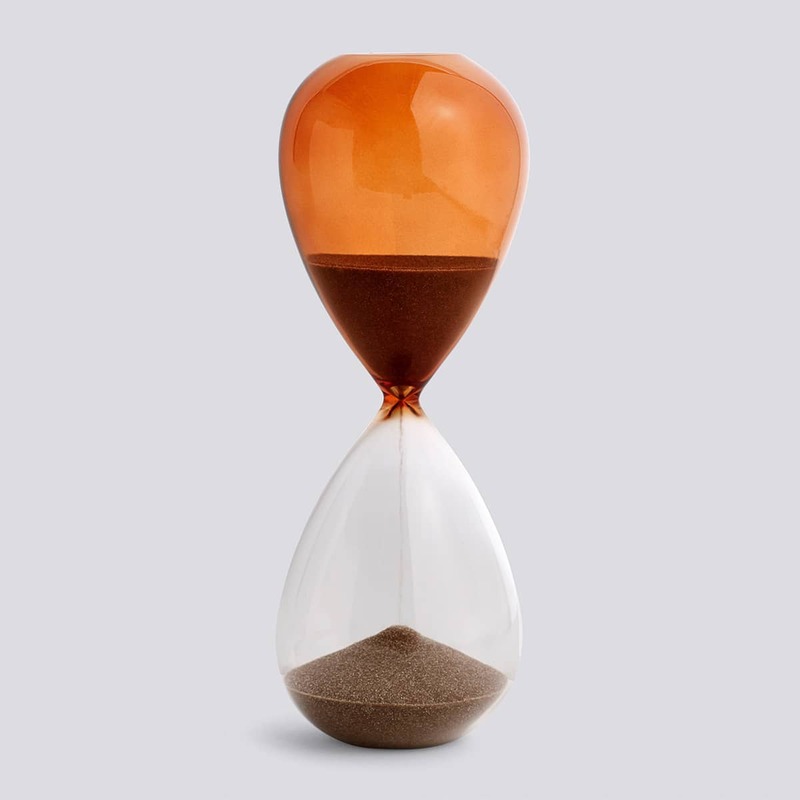 The Hourglass Time by HAY can help you as a timer in the kitchen, in the bathroom or in the office. Or you simply use it as a design object. The round flowing shapes in combination with the finely crafted glass can be decorated in many different ways in your living room.